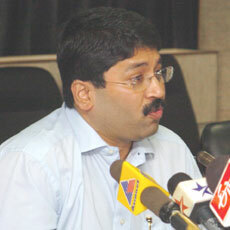 Senior DMK leader Dayanidhi Maran said: "A lot of issues will be taken up at the meeting. It''s quite an important meeting. My leaders will meet the press soon after the executive council is over." The DMK-Congress combine, which won 28 seats in Tamil Nadu and Pondicherry, is to review the post-poll scenario. The DMK won 18 seats, and its allies, the Congress and the Viduthalai Chiruthaigal Katchi (VCK), won nine seats and one seat respectively. As part of the UPA, the DMK contested 22 seats while the Congress had fielded 16 candidates and the VCK two.